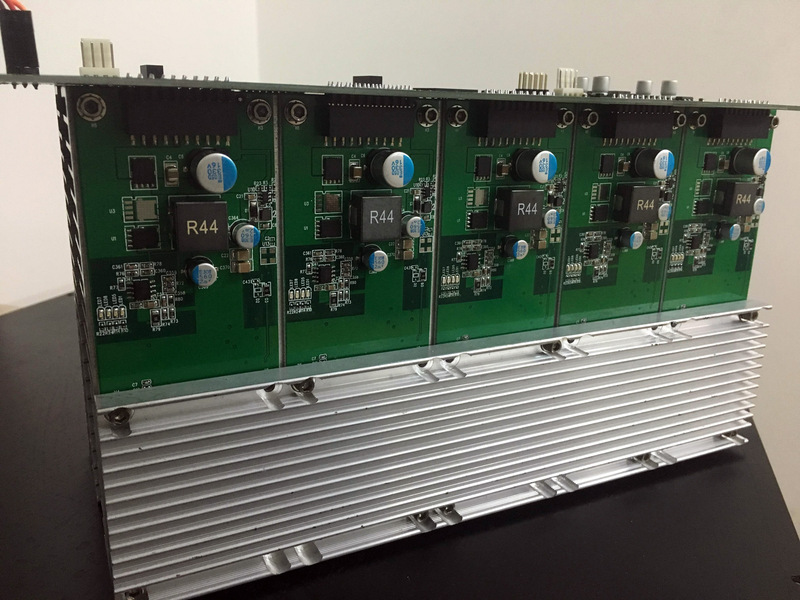 After the recent news about the first X11 mining ASIC iBeLink DM384M ASIC DASH miner it seems that others people working on X11 ASIC hardware are going public with information about their work. The announcement was made in the DashTalk forum and does not contain a lot of information, including more detailed photos and videos, so you should be careful and not treat that information as 100% true and accurate. According to the specs mentioned the miner using a custom developed X11 ASIC chip called Shooter will be capable of achieving 500 MHS hashrate for X11 mining for Dash or other crypto currencies using the same algorithm with just about 280 Watts of power usage. The price of a single miner is set at 500 Dash or equivalent amount in BTC per device with shipping cost not included (roughly $2000 USD at the current price without shipping). Each buyer can only purchase one device at most. 50 devices should be available next month according to the official information. Estimated to be shipped by Mid-March via UPS, SF-Express from Mainland China. Below is a quote of the officially published specifictions. We have already pre-ordered iBeLink DM384M and are waiting for a unit to be shipped, so we can confirm its existence for sure and do a detailed review of the device. Meanwhile we would advice people that are interested in purchasing the miner not to be in a hurry, especially with the additional news of another (unconfirmed) X11 ASIC promising better specifications that may also be coming soon.